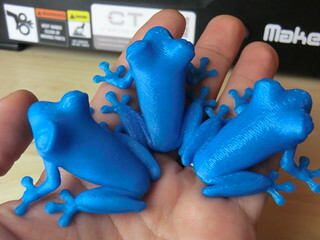 Unique Website 4 Content Tips n Tricks for Every Day: This Full-Color 3-D Printer Sounds Too Good To Be True. Is It? Popular Science sat down with botObjects to ask some questions about their controversial 3-D printer. We left with some answers, and some new questions. Back in May, a startup called botObjects unveiled what seemed like a stunning consumer gadget: the world's first full-color, desktop 3-D printer, the ProDesk 3D. The idea--an entry-level printer that crafts gorgeous objects--was hailed,here and elsewhere , as a potentially great entry into the field. But not long after, doubts started to creep in. A printer with the specifications (color across the spectrum, good resolution) and reasonable price ($3249 plus shipping) of the ProDesk could represent a major leap forward in home printing. How, exactly, did this machine work? Who was the team behind it? And why were details on it so scarce? "If this were a concept I would go easy on it but they say they have this device and it will be on the market in weeks. I am highly skeptical," Joris Peels wrote at VoxelFab in an article called "My doubts about BotObjects." "My opinion has not changed," Peels wrote me recently. "I will only believe in botObjects if the thing is sitting on my desk." The duo behind the printer, CTO Mike Duma and CEO Martin Warner, are, by their own admission, media shy, granting few interviews to reporters and even less access to their machine. (TechCrunch sent a videographer to view the printer, reported that it did, in fact, exist, and posted an article without a video.) So I was pleasantly surprised when I asked a publicist for an interview and became one of the anointed, sitting down the next day in a New York suite between Duma and Warner for a 30-minute chat--with the printer present. But even now, with a deadline past and controversy intensifying, the pair is tight-lipped about the printer. "I hope you realize we're being very transparent," Warner told me in his British accent, garrulous and smiling. The proof: I was allowed to take a phone video of the printer in action, but only on the condition that it last approximately 30 seconds and did not show the bottom display. Warner took the phone from my hands to inspect it after I was done. Why, I asked Warner and Duma, had they decided to post renderings, instead of photos, to show the power of the ProDesk? (I assumed the images were computer-generated or -enhanced; the website only has an ambiguous "[e]arlier images printed on the ProDesk3D, see the gorgeous colors you can create for your models.") They told me these were photos, taken professionally, in a dark room, and had neither been rendered nor digitally manipulated. (Click here to see a larger version of the vase .) Amateur sleuths had been posting on message boards and forums, attempting to dissect the light and shadow in the images to prove they were renderings. Those people, Warner and Duma said, were looking for something that wasn't there. The main evidence is at the place where the vase meets the table. The dominant light in the scene is above the vase, and a little closer to the camera than is the vase -- you can tell that from the shadow. It's also an area light rather than a pinpoint light (which you can also tell from the shadow). But at the right-hand side of the vase-to-table joint, the table is no darker near the vase than it is an inch or so to the right. That's an effect that's almost impossible to achieve with real lighting, unless you have some of the best lighting folks around. The striations, seen in another, more definitively photographic image of the vase, didn't seem to quite match up in the directional pattern of the image, Hughes wrote. There's also the fact that "the table is exactly horizontal in the image. It's not off by a single pixel. That's really hard to do, even for a first-rate photographer." So...I think that they're renderings. Finally, if you chase the link for the vase to http://www.thingiverse.com/thing:55203 , you see that this particular vase has strong horizontal striations, and some fairly specular reflection (i.e., shiny highlights). The center pic doesn't show that at all. The more photo-like images of the vase were added to the site some time after the first round of images; the images of the robot and recorder are the only ones of their kind on the site. As for why the company normally forbids journalists from taking their own images: "We're very protective of our brand," Warner says. Warner has more experience on the business side of dealings, working on multiple software-related projects, according to his website , although on-the-fringe hardware like 3-D printing seems like a major step sideways. Duma handled the technical side of the conversation, explaining the finer points ofhow the ProDesk works while the machine whirred and blipped, although there are still gaps that haven't been accounted for. Here's how they say it works, in a basic outline: the cartridges feed plastic up through printer heads at the top of the machine, combining different strands of filament to mix the colors. The filaments are heated it in the nozzle at the top, and the printer spits out layer upon layer of plastic, until an object is formed. In the ProDesk, the company says, two fans keep the machine relatively cool as it pumps out nearly 400-degree Fahrenheit material. One of the claims that has induced the most skepticism of the project is that can fit such complicated mechanics in a desktop-sized frame: there are four different color cartridges (CMYK, or cyan, magenta, yellow, and black, which can be mixed together to form any color) and a cartridge for a supporting material. I watched it start printing out an object (a small, pink piece of machinery), and then asked Duma how they'd managed to pack the cartridges. He told me the filaments were treated with an "additive." I asked what the additive was. "We're not disclosing that at this time," he told me. This was a common refrain. I asked approximately how many printers they'd pre-sold, and Warner told me that was not being "disclosed," although it was "a lot." The reason they'd missed the October deadline was due to problems discovered late in stress testing, although the specifics, beyond the fact that there were issues with the chip set and case, weren't being disclosed. According to Warner, everything innovative about the machine is patent pending. A search of the patent database and a call to the patent office didn't turn up anything, at least with botObjects' name on it; in the followup call, Warner told me he wasn't sure if the patents were available online, but said that "certainly at some point we could share them." When we met, I asked if it was the patenting process that stopped them from saying what the additive was. Warner paused, stared briefly, and chuckled.Surely, he said, knowing that information would only help the competition. Assuming botObjects reaches its March shipment goal, and the printers start being delivered, intrepid buyers may crack the machine open to figure out the mechanics. In the meantime, there are questions we might not get answers to. "There are things that are never released," Warner told me, "and for good reasons." Is this full-color 3D printer too good to be true?